Looking for the right fit in your event promotions? A club flyer does so much in a little space! 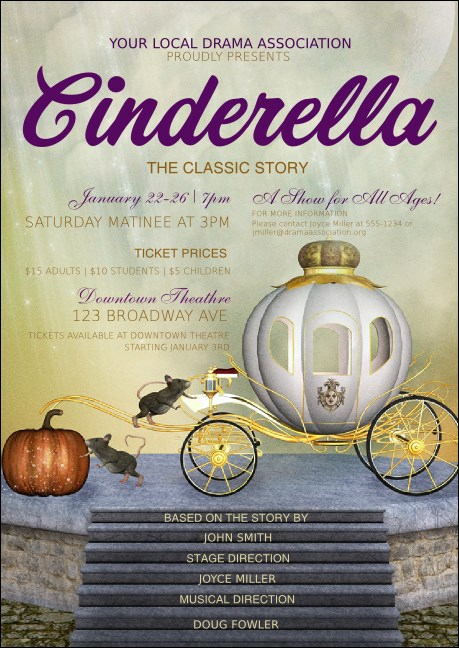 When you're putting on a fairy tale production, choose the Cinderella Club Flyer. The pretty purples and gold highlight a magical carriage design. This beautiful template has twenty-two lines for all your event details. Make a big production about your play with the right club flyer from TicketPrinting.com.